When it comes to most of the web pages we just see the material escalates from edge to edge in width with a handy site navigation bar just above and just efficiently becomes resized when the determined viewport is achieved so basically the showcased content fluently employs the full width of the page available. But at a certain events the aimed objective the web pages must serve require together with the fluently resizing content section some other section of the obtainable screen width to get appointed to a still vertical element together with several links and material in it-- in shorts-- the prominent from the past Bootstrap Sidebar feature is wanted. 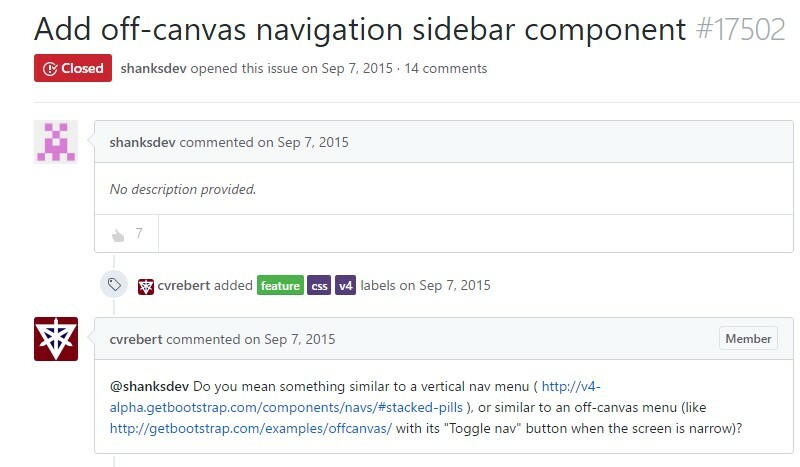 This is rather old technique but supposing that you truly want to-- you are able to create a sidebar feature with the Bootstrap 4 framework which together with its flexible grid system also provide a couple of classes created particularly for creating a secondary rank navigation menus being really docked throughout the webpage. But why don't we set up it simple-- via simply nesting some rows and columns -- It is expected this perhaps the most convenient tactic. And by nesting I mean you are able to gave a .row element set inside a column one-- it typically functions the identical approach besides the attainable columns in a single line limitation-- in the case that you nest a row within a column you have the ability to have up to the column's width spanning inner columns inside it prior to they wrap to a new line. First and foremost we desire a container element to maintain the rows and columns and considering that we are actually designing something a bit more complicated the .container-fluid class might be the ideal one to attach it to-- in this manner it will certainly constantly spread over the whole visible width accessible. 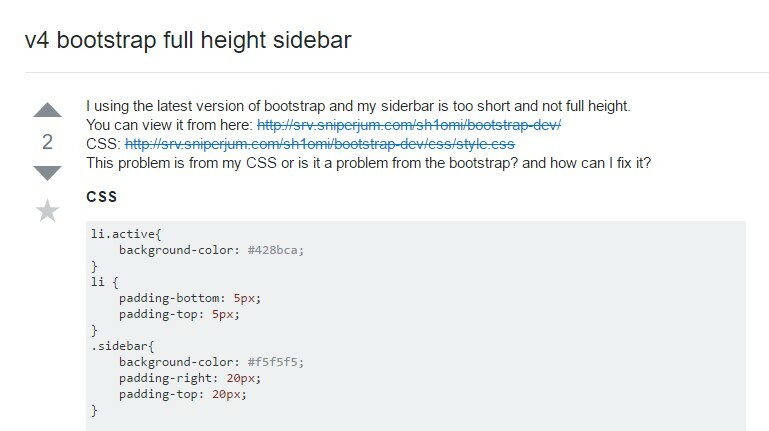 Next we need to have a .row to wrap the fundamental system into which in our situation would certainly be a wide column for the content and a smaller sized-- for the sidebar-- let's say we'll split up the width in 9 by 3 columns in width. And so the very first column element should bring .col-md-9 and the 2nd one - .col-md-3 class utilized. Next in all of these columns we have the ability to just set up some extra .row components and stuff them up up with a number of material making first the main web page and after it-- the components of the sidebar the same as two smaller pages laid out side by side. 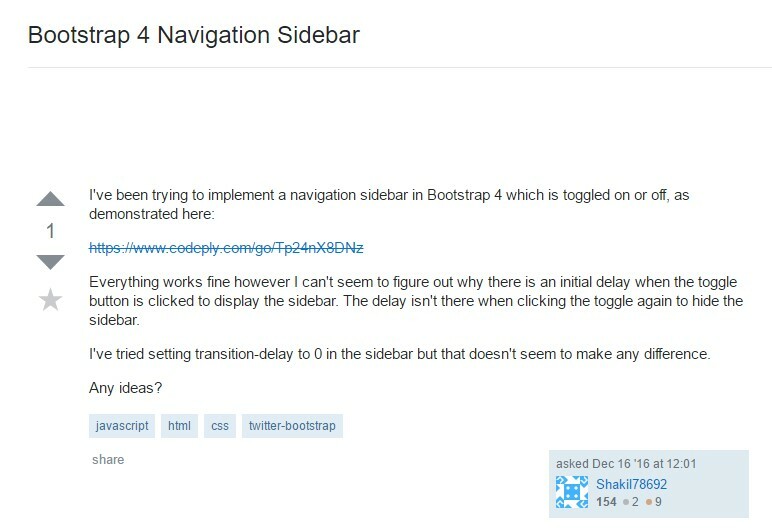 Aside from that in case you need to develop a sidebar navigation menu together with the wanted .col-* class you have the ability to delegate it the .sidebarclass and wrap the page's major material into a <main> element utilising it the rest size with a .col-* class and correct offset identical to the sidebar's width to ensure the nicely display screen side by side.